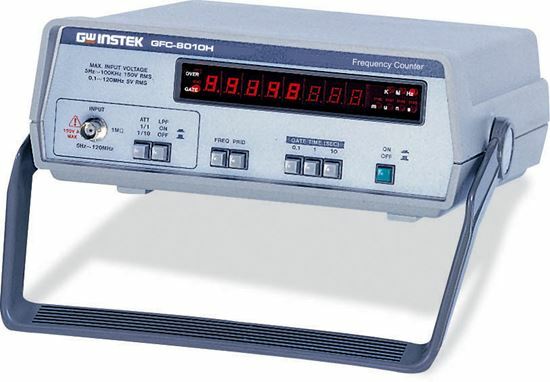 The Instek GFC-8010H performs virtually most of the counting measurements required in laboratories, in terms of both period and frequency. 8 digits LED display with distinctive red color and overflow indicator provides fast and clear view. With easy operation of all functions neatly organized on the front panel, compact size suitable for both portable and bench-top usage, the GFC-8010H serves users as a handy reference. Resolution The maximum resolution for frequency measurement is 100nHz for 1Hz and 0.1Hz for 100MHz input respectively, and for period measurement is 10nS for 1Hz and 0.1fS (f=10-15) for 100MHz input respectively.